Expecting your printer to be the home or small-business printing press? What does it need? 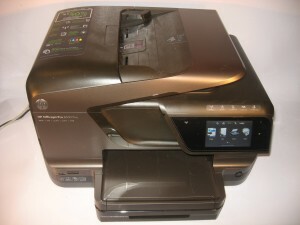 Most small organisations such as micro-businesses and other small businesses will place an expectation on computer printers to be used as an “organisational short-run printing press”. This expectation has been brought around through the availability of word-processing software that can offer basic desktop-publishing functionality and easy-to-understand desktop-publishing software that can do what most people want being available at a price that most people can afford. This concept has also been emphasised by printer manufacturers through their advertising collateral like a recent Canon TV commercial for their PIXMA printers or HP’s website for their OfficeJet Pro inkjet printers. The printer should have optional support for high-yield ink or toner cartridges as well as regular-yield cartridges. This is more important for inkjet machines because the ink cartridges are typically very small and aren’t able to hold a lot of ink. It is worth noting that most of the equipment pitched at business users like the HP OfficeJet Pro 8600 will typically have the larger-capacity cartridges and have a higher duty cycle therefore being able to do this kind of work. 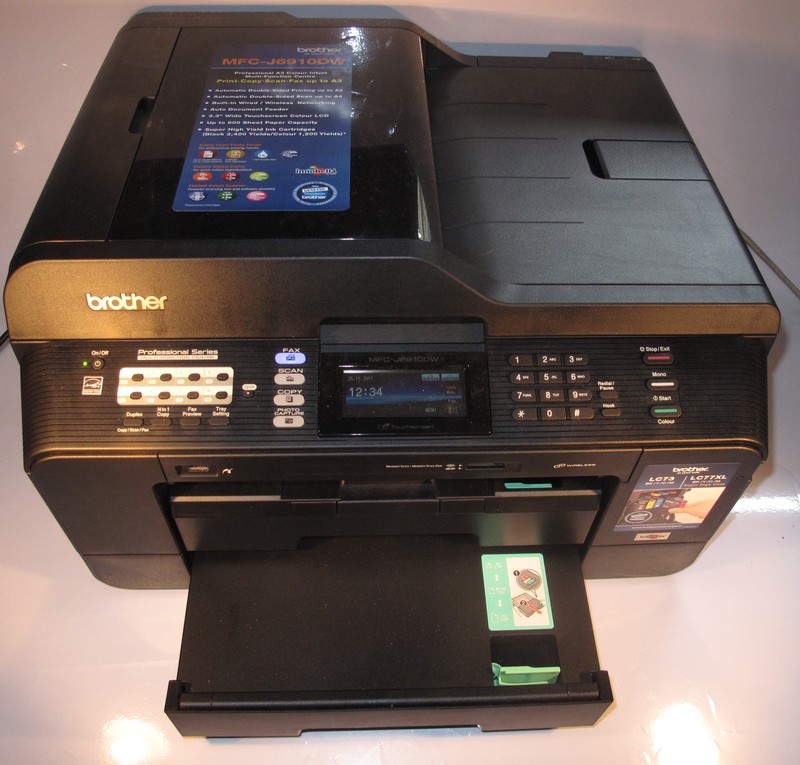 As well, you should prefer to use an inkjet printer that uses individually-replaceable ink tanks for each colour. These printers also become more cost-effective to run because you only need to replace the colours that you run out of when you run out of them. The print mechanism has to be able to support large print runs without failing mid-job. This includes having it perform advanced printing functionalities like auto-duplex or use of anciliary trays. It also has to work reliably with jobs that are based around media other than regular paper. This brings me to automatic duplexing. An increasing number of home-office printers and small-business printers are being equipped with an automatic duplex mechanism so that the unit can print on both sides of the paper. This is usually to permit you to save paper but people may find this function useful for turning out booklets, brochures, greeting cards and the like where they want to print on both sides of the paper. Similarly, automatic duplexing may come in handy for making flyers and signage that is to be seen on both sides of a window. A common problem with some of these mechanisms is that they don’t print to the narrow edge of Letter or A4 paper during a duplex print run. The problem has been more so with most Hewlett-Packard inkjet printers except the OfficeJet Pro 8600, which was pitched as a brochure-printing machine. This can cause problems with registration shifting or a requirement to have large margins on the document. Some Canon printers such as the PIXMA MX-870 have improved automatic duplex mechanisms that can work to the edge of the paper. Another problem is that there is a time penalty of approximately 15 seconds per page with inkjet printers when they use automatic duplexing. This is to allow the ink to dry on the front side of the paper before the printer draws the paper in to print on the back. Plastic-based media like overhead-projector transparencies, back-print film and vinyl stickers / decals have special requirements when it comes to printing them on your printer. They range from being able to “hold” ink that is sprayed on to them by the inkjet process or passing through a heat-based printing process such as the xerographic process used in laser and LED printers. If you use a laser printer, you need to use laser-optimised media for plastic-based media and stickers. This is because the printed documents have to pass through “fuser rollers” that are heated at a very high temperature in order to melt the toner on to the media. This can be a problem with the adhesive and plastic backing associated with stickers or the plastic media melting inside the machine and causing damage that is costly in both money and serviceability terms. It also can extend to glossy “presentation / brochure” paper which uses some form of glazing to provide the sheen, and this can cause problems with different printers. So you have to use special media that is rated for laser-printer or xerographic photocopier use. This media is designed to pass through the hot fuser rollers without damaging the printer. Some of the media that is made by particular printer manufacturers is designed for the printers made by that manufacturer and, in some cases, printers based on a certain print-engine type. This is due to the manufacturer knowing the operating temperature for the printers in question. But there are some kinds of special media that is made by third parties and pitched at a range of printers offered by many different manufacturers. Some of these also may be available under the private labels that different stationers and office-supply stores use. For example, Avery make a large range of laser labels that are compatible with most laser printers that are in circulation nowadays. To get best results out of inkjet printers with plastic media, you have to use inkjet-optimised plastic media that has a rough surface on the printed side. This is to catch the droplets left by the inkjet printer as part of its printing process and avoid the ink smearing over the medium as it passes through the printer or is handled by the user. As well, you will need to set the printer’s driver software to work with “overhead transparencies” or “back print film” when you print to plastic media. 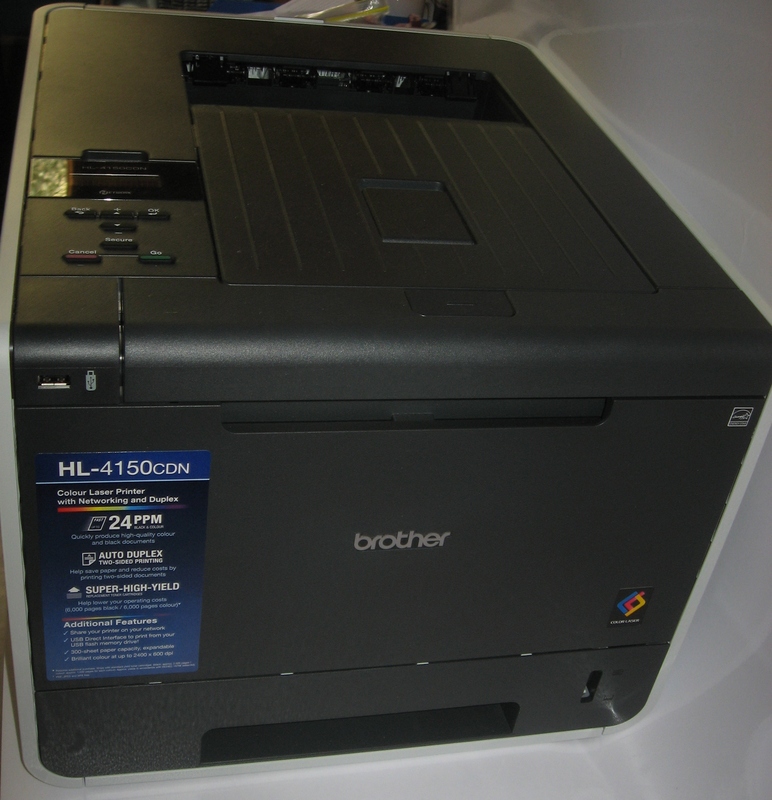 This is to allow the printer to optimise its printing process for the media. When you load the media, you have to make sure that the rough “printing” side faces the print head as it feeds through the printer. This may be harder to understand with Hewlett-Packard and Brother printers because they use a U-shaped paper-feed path and eject the printed document above the paper storage trays. Here, you would have to put the media in with the rough side facing down when loading the printer. The main question that a lot of users will end up asking will be whether to have the print runs made by an outside printing house or print the documents with their printer. One factor to consider is how many copies you will be eventually needing for your design. If you are turning out up to 20 to 40 copies of your design at a time, you can get by with using your machine. If you end up running more than that, you would need to outsource your printing. This is because of the cost of ink and paper involved in the large print runs, the costs associated with the wear and tear on your machine and the time it takes to run the large print jobs on the typical home-office or small-business printer. This last factor will be of importance with fax-enabled printers that have to be ready to receive faxes or printers that are required to turn out hard copy as part of business processes. Another factor worth considering is how often your design is likely to change. If the design is likely to change frequently or be suited to an occasion, you may have to use your printer for the short runs or outsource larger runs to a print shop that can turn out medium runs. Examples of this may include a café, restaurant or bar turning out menus or drinks lists that are centred around particular food and drink specials, a church or funeral home turning out an order-of-service for a particular occasion or an estate agent or auctioneer running flyers about the property that they are auctionning to hand out to customers. It is worth knowing that your machine would be useful for creating proofs or short “test-runs” of documents that you expect to outsource to a print shop for the large outsourced runs. An example of this could include a test-run to assess the effectiveness of a design or a preview run for special customers. It can also be useful for creating “infill runs” of documents when you have run short of copies and either you don’t want to order another large print run or you want copies on hand while another large run that you ordered is being processed. Here, small businesses can consider the use of a desktop printer as the “small-business printing press” if they know what their machine is capable of and they are using the right media for the job. This includes whether to work it hard on a large print job or assign the job to the local print shop. HP TopShot Scanning–what is it? Should I buy a secondary printer for my home network?